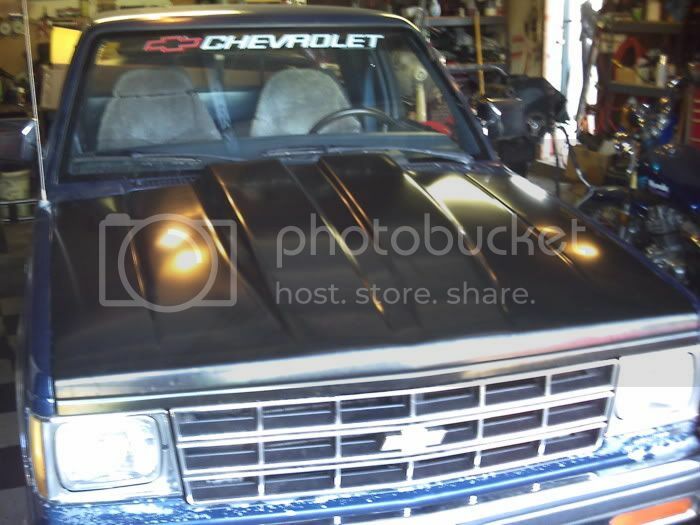 Just wondering what it costs for a steel cowl hood for a 1st gen dime anyone know? well, all I did was google " steel cowl hood s10 "
So my stock hood and $100 is a good price then right? 91 s10 2.5 5 speed "The Mistress"
"A dream will always triumph over reality, once it is given a chance"
"Organize your life around your dreams - and watch them come true." If I acted like some of the people here do and ran to someone when ever my feelings were hurt I would have been called a sissy and then ridiculed for that as well. I suppose I just grew up in a time when we were all tougher and turned out to be men and women instead of staying crying children.